Vladdy was an Expo from 1996-2003 and will be elected into the Hall of Fame as An Expo to join Andre Dawson, Gary Carter and potentially Tim Raines next year. Now that the 2016 Baseball Hall Of Fame Voting has come and gone it is time to turn our attention to the 2017 vote already. There are 15 remaining names left from the 2016 Vote including: Jeff Bagwell, Tim Raines, Trevor Hoffman, Curt Schilling, Roger Clemens, Barry Bonds, Edgar Martinez, Mike Mussina, Lee Smith, Jeff Kent, Larry Walker, Sammy Sosa and Gary Sheffield. Out of those 15, Raines and Smith are in the final years of their names being on the ballot. 2015 MLB Hall of Fame Voting: Who Deserves to Get In? The MLB Hall of Fame will announce which players will be part of the Class of 2015. With players such as Randy Johnson and Pedro Martinez being added to the ballot this year, the question remains as to which players will ultimately make the final cut this year? 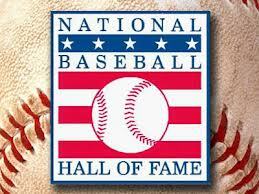 It is very possible that history is made with regards to this year’s MLB Hall of Fame induction class. In the past, the committee has been hesitant to vote in more than three players in one class, and it has been very rare to see more than three voted in at one time. In the past, the committee voted in four players twice (1947 and 1955) and five players only once (1936- the first year of the voting process). As the decision day quickly approaches, there is speculation that the BBWAA could possibly end the long drought and elect five players this year. With this year’s ballot having a ton of players who could make a legitimate case to be inducted, I decided to go to the process of picking my own ballot (which doesn’t count for the BBWAA), and after taking the time and effort to research my ballet, I realized that it was a much harder process then I anticipated it would be. The deadline of December 31st has come and gone for The Baseball Writers Association of America (BBWAA). 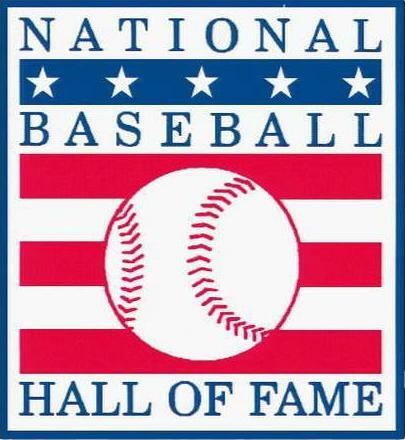 Members were asked to submit no more than 10 names of players they “deem” worthy of induction towards this year’s National Baseball Hall of Fame ceremony set for July. Results are scheduled to be announced on January 8th. Players must receive at least 75 percent of the votes in order to be inducted by a voting body of roughly over 500 eligible writers. There are many player names worthy of discussion, however, few will see enshrinement, now or ever. 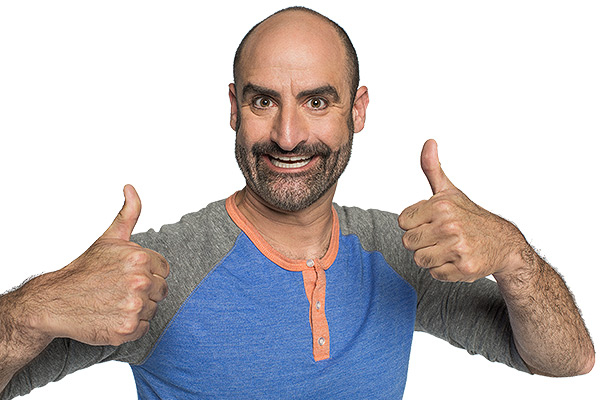 Brody Stevens, star of the new Comedy Central series “Brody Stevens: Enjoy It“, is the guest on today’s episode of The Sully Baseball Daily Podcast. Brody, a friend of your pal Sully from my stand up comedy days, was a college pitcher for Arizona State and is friends with many baseball players and managers. 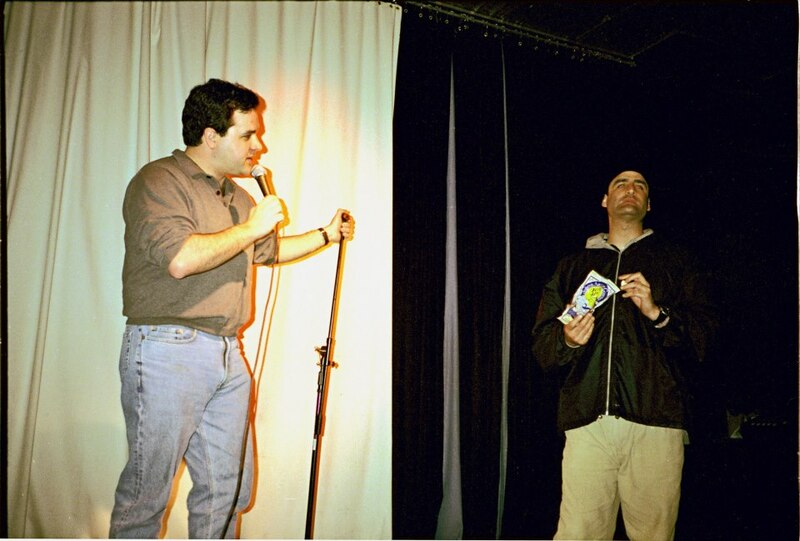 He passed some stories along and at one point needed to use the bathroom. Follow Brody on Twitter by clicking HERE. To subscribe to The Sully Baseball Daily Podcast on iTunes, click HERE. Jack Morris: It Is Time To Elect This Winner Into The Baseball Hall Of Fame! Jack Morris was a winner, a true throwback pitcher who came after hitters with reckless abandon. He pitched based on what the score was – and had no personal regard for his own personal statistics. It is this very reason why the debate has hit epic proportions on social media hubs, amongst bloggers, former players, analysts, broadcaster and statisticians. I intend to prove the case for the guy in a manner that will have some similarities to other pieces you may have read, yet promote a big look into the numbers that I have been bouncing around in my head for months. The debate for whether or not Jack Morris belongs in the Baseball Hall Of Fame has heated up to an ALL-Time high with the big vote going down in Jan of 2014 for the final time. 575 members of BBWAA fraternity will decide whether or not the big man from Minnesota will enter one of the hardest Hall Of Fame’s to enter in pro sports (if not the hardest). Morris will need a 75% (432 Minimum Votes) of them to write down his name on their ballot for enshrinement into Cooperstown. Last year, Morris received 67.7 % of the writers votes in his 14th year of eligibility. He will have his name on a 14th ballot this year. He has been trending up in recent years, so if he can improve in 2014, with the same amount of 2011-2012 jump of (+13.2%), then he will make it in. If he fails to reach the Hall this year, it would be his last year of eligibility for the BBWAA Vote. He could still make it via the Veterans Committee after that. But that could take some significant time. 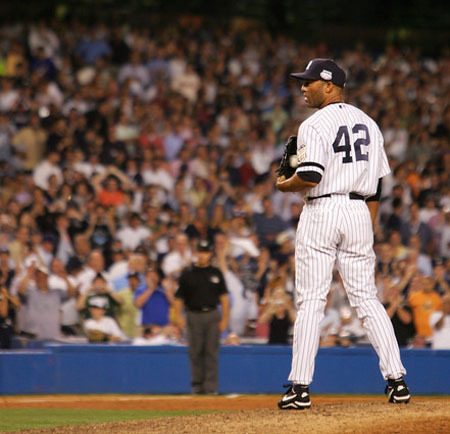 Mariano Rivera holds the ALL-Time Record for any Closer (active or retired) with 641 Saves. 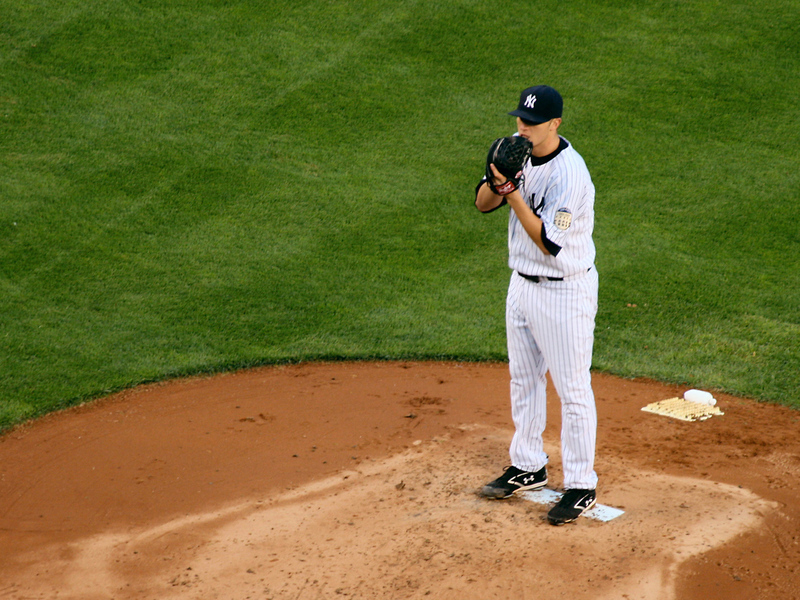 He has been the most dominant Relief Pitcher on the planet over the last two decades. What is incredible, is that he never has a bad season – which is prone to happen to even Hall Of Fame Pitchers. Rivera also leads Active Pitchers in ERA (2.20), Games Finished (1093) and a WHIP 1.003 Add another 42 Saves, and a 0.70 ERA in 142 IP in his Post Season Career – and you are talking about the standard which any future Closer will be measured up to. At the MLB Reports, we intend to show you the Roster Tree for the Yankees – and how they assembled their current roster for hitting and Pitching. It will work in a six degrees of separation like format. Once we figure out the origin of how many trades going back in time it takes to see where the tree started, it will be time to dissect how the team fared on the deals. If a player has never left the organization at all, the tree will be easy – as it will just be the year they were drafted. This was not as cool as doing the other Roster Trees I have done. In fact, the Hitters were not even that fun to do, with having to go through the Alberto Gonzalez tree (from when he left the NYY the first time) – just to spice it up a little bit. 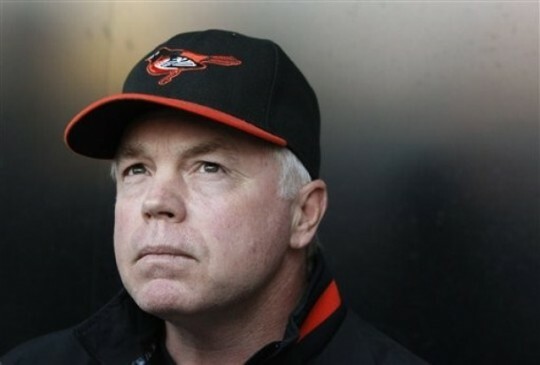 Buck Showalter had one of the best managerial season in recent vintage with the 2012 version of the Baltimore Orioles, will the fans and management turn on him if there is a small regression in 2013? I believe that 2013 will be a regressive season for the Baltimore Orioles. Much like the 2011 Arizona DiamondBacks in the National League, all of the bounces and luck went the Orioles way to have a magical year of a playoff berth in 2012. A crazy amount of 1 run wins, extra inning wins and a brilliant bullpen defied the odds in the American League in order to compete. I still think the Baltimore Orioles will be competitive in 2013, I just don’t see a 90 win team. The team is not saddled with many outrageous contracts left, however it is a shame that Brian Roberts (10 Million Dollars Per Year) can’t stay healthy. They will need repeat years from Adam Jones and Chris Davis, plus significant increases in production from J.J. Hardy, Matt Wieters and Nick Markakis will need to hit his .300+. This team has to take a run at a few players via trade or a remaining Free Agent. The need for a power hitting DH and another OF with Pop to play LF would be a wise decision. The ownership will need to extend the payroll for this very option. Also, they will need to plunk down some dough to sign an ace on the Free Agency market. You can’t tell me that a guy like Kyle Lohse won’t help the club! Heading into 2013, Hughes has a Career Record of 52-36 (.591) – with a 4.39 ERA. He is projected to be the #4 starter for the Yankees in 2013. He is 46-34, with a 4.68 ERA for his Career as a Starter opposed to a Reliever – where he was 5-1, with a 1.40 ERA during 2009. Phil Hughes represents a nice #3 or #4 starter for the New York Yankees – and Joba Chamberlain will be counted on more than ever with Rafael Soriano not being back in the bullpen for 2013. This will be his 7th season in the ‘Bronx for both Pitchers. The 6 Foot 5 native (Hughes) of California, is coming off a decent season in 2012 – after he struggled with arm fatigue in 2011. Chamberlain has had a litany of injuries pile up on his 6 Foot 2, 250 LBS frame over the last several years. Yankees fans all know too well how this man and Joba Chamberlain have been bounced to and from the Starting Rotation to the Relief Corps. I think it is safe to say the Yankees finally have it right. Joba is a reliever and Hughes is a Starting Pitcher. The Yankees have them both locked up on one year deals for 2013. Chamberlain will make 1.88 Million Dollars – while Hughes will make 7.15 Million Dollars. With an aging offense this year, the Yankees will be counting on several internal improvements amongst their pitching staffs. These two veterans will need to take it to the next level based on their projections of talent. Sabathia Looks For More AL Supremacy + Eventual Election Into The BBHOF! Sabathia is 85-31 (.762) since a 2008 mid-season trade from the Indians to the Brewers. The Yankees current ace has won 74 games in his 1st 4 years with the Bronx Bombers. He has made the playoffs in the last 6 years with CLE/MIL and NYY – with 4 ALCS trips and a World Series win in 2009. He is 7-3 with a 3.50 ERA in the Post Season for the Yankees. CC Sabathia is a BEAST. You just have to look at the 6 FT 7 – 300 LBS+ man to see that. If it is possible by playing in New York City – and under the brightest lights, that this man is underrated, despite being a Bronx Bomber. Heading into 2013, ‘Carsten Charles’ (not Captain Crunch as some opposing fans have called him for his love of the Cereal) is 191-102 in his astute Pitching Career, with an ERA of 3.50. What is more impressive than this are his numbers as a member of the New York Yankees – and playing in both Yankee Stadium and the vaunted AL East and amongst many of the top offensive clubs in the Major Leagues. #52 is 74-29 (.718) for the Yankees with a 3.22 ERA. He has made 3 ALL-Star Appearances and has had 3 top 4 AL CY Young Award finishes in the last 4 campaigns. The verdict: the man has been truly dominant in Pinstripes! In the 1st year of his big contract in 2009, Sabathia led the AL in wins with 19 – en route to a World Series Championship effort. Sabathia had a brilliant Post Season, going 4-1 with a 1.98 ERA in 36.1 IP. The big man also Struckout 32 Batters and only yielded 9 Walks. His only loss came in Game #1 of the World Series, when Chase Utley had a career game. Sabathia bounced back in Game #4 of the Fall Classic (with a QS – ND) and the Yankees ended up winning the contest to take a commanding 3 games to 1 ead, instead of having the Phillies tie the Series at 2 should he of had a bad start. 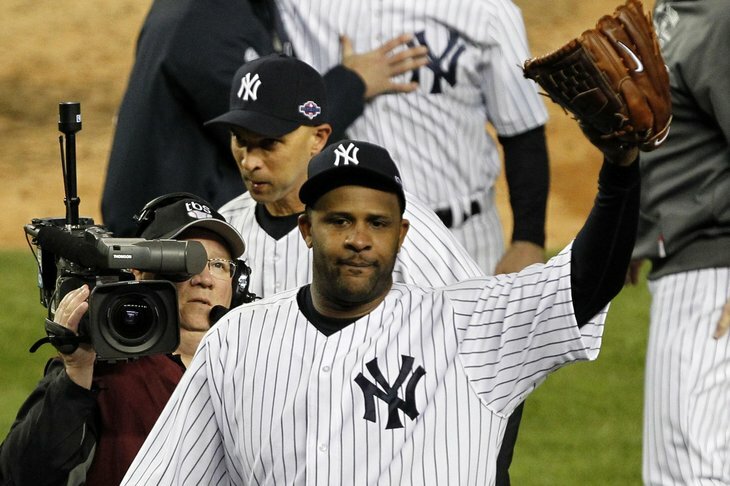 Sabathia is a winner and maybe the last guy to win 300 Games in the Majors. At Age 32, the guy has a contract to pitch for the Yankees until 2018. In his first 4 seasons he has averaged 18.5 Wins per year. Even if the man only averages 15 wins a year for that time frame, he would be at around 265 wins at Age 37. He could possibly end his career with New York – who would bet against him pitching until he is 40 to chalk up another 35 wins between 38 and that age? CC Sabathia 2011 Highlights – Mature Lyrics so Parental Guidance is advised. Chris Carpenter started his career in Toronto after being the 15th overall selection in the 1994 draft. After the 2001 season, the Toronto Blue Jays made a calculated decision not to offer Carpenter a major league contract. He elected for free agency, rather than pitching in the minors for Toronto, and his legacy in St. Louis began when the Cardinals picked him up. The legend of Chris Carpenter started as a 19-year-old pitching for the Medicine Hat Blue Jays in 1994. 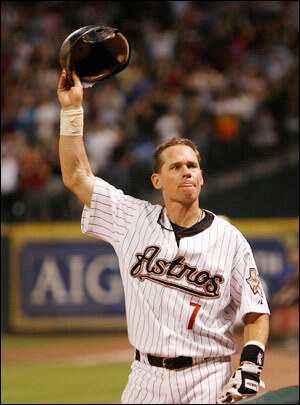 He was the 15th overall pick by the World Series Champion Toronto Blue Jays in the 1993 draft. He was a physical specimen built to stand atop a 9.5” hill and stare down at hitters as they stared back at his 6 foot, 6 inch frame. Drafted out of Manchester, New Hampshire, the 19-year-old already had a plus fastball and a nice curveball. By 1997, at the age of 22, Chris Carpenter had broken into the Toronto Blue Jays rotation and was pitching against the best hitters in the world. The last time the Yankees and Orioles met in Postseason play was in 1996. 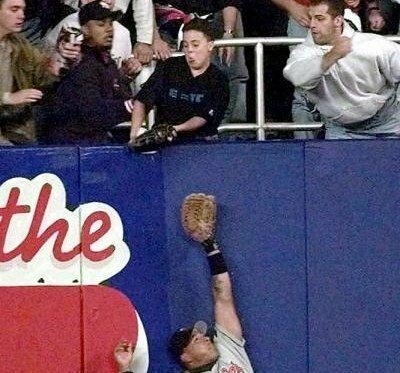 The Orioles lost that series, and a lot of fingers were pointed at the controversial home run caught young fan, Jeffrey Maier. The Orioles postseason fate may be different this time around against the Bronx Bombers. The last time the Baltimore Orioles and the New York Yankees met in the playoffs was in 1996 in the ALCS. Like in 2012, Andy Pettitte and Derek Jeter were on the Yankees roster. The Orioles boasted a lineup that consisted of Rafael Palmeiro, Roberto Alomar, Cal Ripken Jr., B.J Surhoff, and Brady Anderson—who was having a career year. That lineup, along with a rotation consisting of Mike Mussina and Scott Erickson and Jimmy Key, gave Baltimore an imposing roster that the Camden Faithful could expect to make a playoff run. Jack Morris led the Major Leagues for Wins in the 80’s by posting a 162-119 Record (.577). He was a 5 Time ALL-Star and had 6 Top 10 Finishes for AL Cy Young. He also hurled 175 Complete Games. He won 20 Games 3 separate years, 16+ Wins in 10 Years and 15+ Wins in 12 of his 16 full years – and 18 seasons overall. The debate for whether or not Jack Morris belongs in the Baseball Hall Of Fame has heated up to an ALL-Time high with the big vote going down tomorrow. 575 members of BBWAA fraternity will decide whether or not the big man from Minnesota will enter one of the hardest Hall Of Fame’s to enter in pro sports (if not the hardest). Morris will need a 75% (432 Minimum Votes) of them to write down his name on their ballot for enshrinement into Cooperstown. Last year, Morris received 66.7 % of the writers votes in his 13th year of eligibility. He will have his name on a 14th ballot this year. He has been trending up in recent years, so if he can improve with the same amount of 2011-2012 jump of (+13.2%), then he will make it in. If he fails to reach the Hall this year, 2014 would be his last year of eligibility for the BBWAA Vote. He could still make it via the Veterans Committee after that. 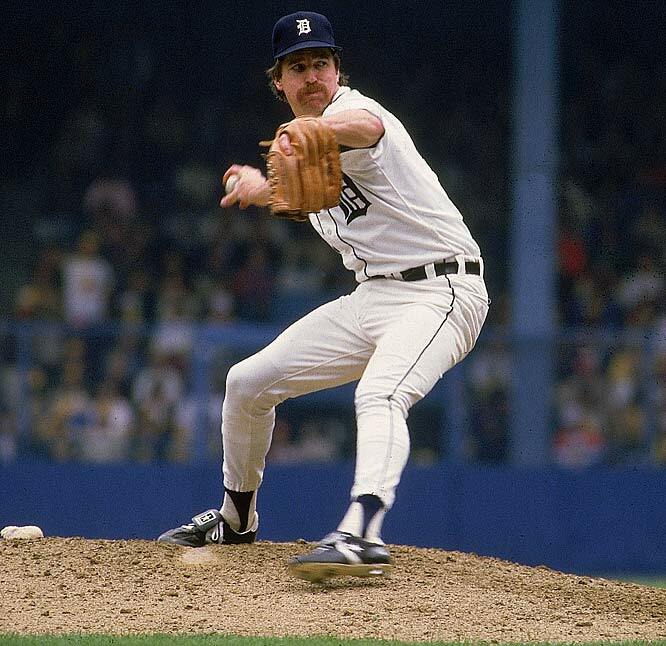 Jack Morris was a winner, a true throwback pitcher who came after hitters with reckless abandon. He pitched based on what the score was – and had no personal regard for his own personal statistics. It is this very reason why the debate has hit epic proportions on social media hubs, amongst bloggers, former players, analysts, broadcaster and statisticians. I intend to prove the case for the guy in a manner that will have some similarities to other pieces you may have read, yet promote a big look into the numbers that I have been bouncing around in my head for months. I even have had a #JackMorrisAwarenessWeek on Twitter and have been having feuds with people on the other side who don’t think he belongs in Cooperstown- while I have been Retweeted by his biggest supporters. Let the battle lines be drawn!